The fast-food joint, He-Ni-Uwa restaurant and Cafe at the Coral Coast in Nadroga is a family owned restaurant with an investment around $150,000. 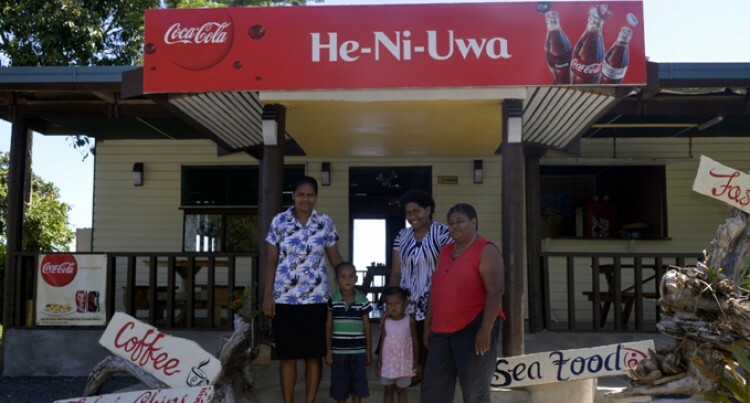 The restaurant is owned by an I-Taukei couple, Apenisa Vunitasiri and wife, Kinisalote and three beautiful daughters. This locally-owned restaurant serves Fijian breakfast and local foods and is widely renowned for its seafood delicacies. “I had lots of encouragement from other people who told me to start my own restaurant,” Mrs Vunitasiri said. The Burebasaga, Rewa native said qualifications were not always the answer to establishing a business like hers. “My husband and I have no qualification in tourism and hospitality sector this did not stop us from making our business,” she said. Their first business was the Coral Coast Horse Riding tour for tourists which were centred on Eco-tourism. “This restaurant is situated in one of Fiji’s most popular tourist destinations the Coral Coast, and prides itself as being ‘a place apart’ from the rest,” said Mrs Vunitasiri. “Hopefully this means a new start and with that, comes a fresh perspective on both life and a choice of restaurant. She said the nature of their business has no negative impact on the environment. “It was vital for us to do something that could show tourists our local style in terms of cooking food namely ‘ika tavu (like fish in on a spit),’ she said. Their business has been fully operational since the beginning of this year. Local entreprenuers need to be able to do business based on local produce.